The Wii U can save data to an external hard drive via USB. In a future update, the Wii U will be able to connect to two hard drives simultaneously to allow easier data management. The Basic Wii U’s internal hard drive, after space formatting, will only have 4.2GB free. That’s enough to store one typical Wii U title. Bear in mind that both Basic and Premium Wii Us can use external hard drives, so neither model is limited to its internal space. Points earned as a Nintendo Premium member are good not only on the Wii U, but also in the DSiWare shop and the 3DS eShop. Wii U can save preferences for multiple users. Parental controls allow for restricting children’s access to the internet, including Miiverse interactions and e-Shop spending. 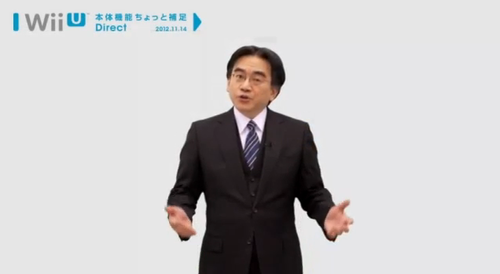 You can read a full rundown of the Nintendo Direct here.